Last night at the Practice, we learned about the centrality of the Eucharist (which simply means “thanksgiving) to the life of a follower of Jesus from Ian Morgan Cron. In particular, Ian shared his insight that all of our sin can be described as the habitual pattern of stealing things that are meant to be received as a gift, using this short story to illustrate his point. In this world, we often set out to obtain the things we believe will fulfill our desires for intimacy, or affirmation, or security by taking them because we believe God is withholding good things from us. Think about Adam and Eve in the Garden of Eden. But God is generous, so much so that he gave his Son to rescue us. When we participate in the Eucharist, we remember God’s generosity and grace offered through Jesus Christ. We remember that communion is not a thing to be taken, but a gift to be received. This week, we are going to practice two things: first, noticing the ways in which we attempt to take, or do take, things that are meant to be received as gifts; and second, praying a simple prayer that will lead us into our next four weeks of time together relating to community. Notice the times in your day when you find yourself grasping for something to fulfill a desire you have. Ask: Is this thing I desire meant to be received as a gift? As best you are able, and without judging or shaming yourself, open your palms and remember that God is generous and he is not withholding any good thing from you. Books: Jesus, My Father, The CIA, and Me: A Memoir…of Sorts, Ian Morgan Cron. Chasing Francis: A Pilgrim’s Tale, Ian Morgan Cron. 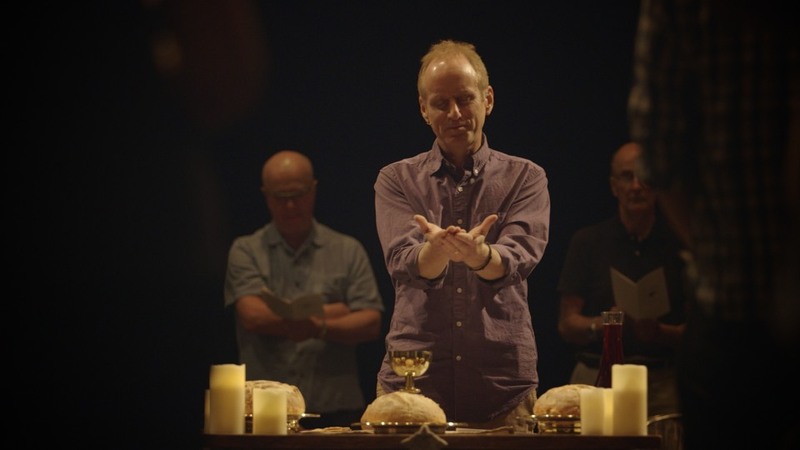 Video: Ian Morgan Cron on Communion.